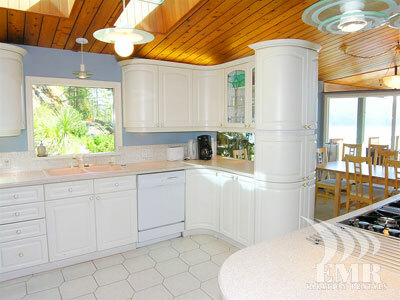 Set into the side of Mount Seymour, the home is located at the end of a road in a serene and forested environment overlooking the ocean. 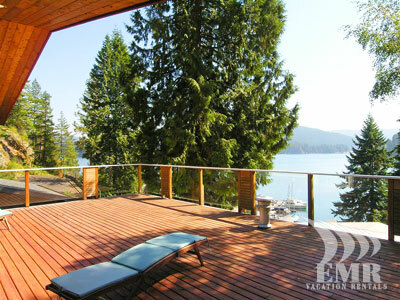 From two decks you will enjoy year round spectacular views to Deep Cove and Indian Arm. 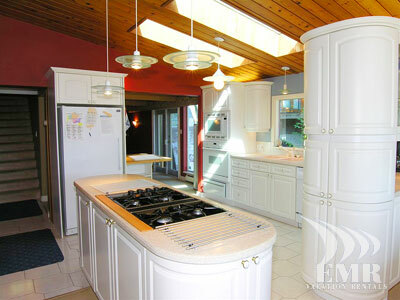 This fully furnished and well equipped detached house offers accommodation for up to twelve guests. 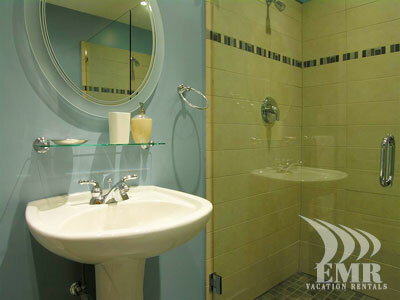 The ground floor provides two queen beds and a bathroom with double shower. The main floor features a spacious kitchen within an open plan that incorporates a dining room, sitting room and living room. 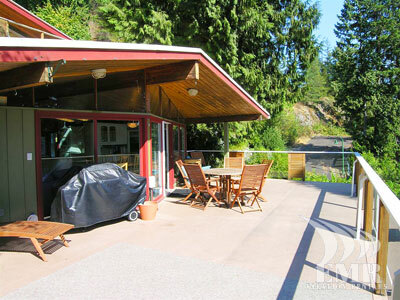 The dining area opens to a large deck to enjoy cool summer evening breezes and a stainless steel barbeque. 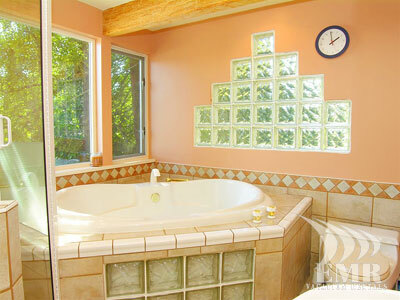 The second floor features two bedrooms with a common 4 piece bathroom containing a generous soaker tub. 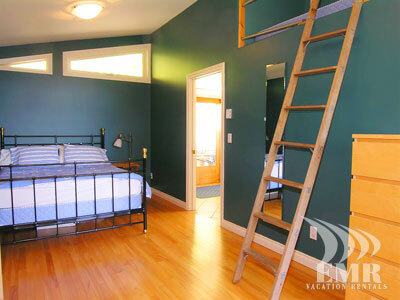 The third floor provides an office area with Murphy bed, a gas fireplace, an adjacent bedroom and sliding door to the second balcony with fantastic views. 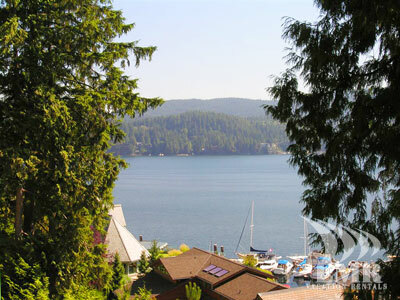 The calm waters of Deep Cove are enjoyable for swimming and other water activities. There is also a park with beach access just a short stroll from the house. And if you enjoy being out on the water there are canoe and kayak rentals available in the village. 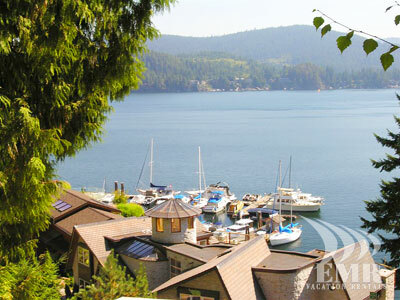 For those that enjoy hiking, the Baden Powell Trailhead is a short walk on the way to Deep Cove village. This trail leads to a viewpoint just above Deep Cove and continues along the slopes of Mount Seymour and ends at Horseshoe Bay. 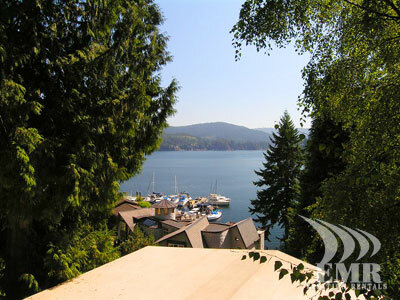 There is parking for 3 vehicles and Deep Cove is also serviced by transit to downtown Vancouver and North Vancouver. 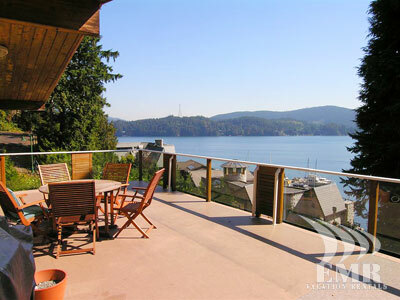 Deep Cove Lookout is the perfect holiday rental allowing visitors to enjoy the surrounding areas and downtown Vancouver and the more remote scenic locations of the North Shore mountains. 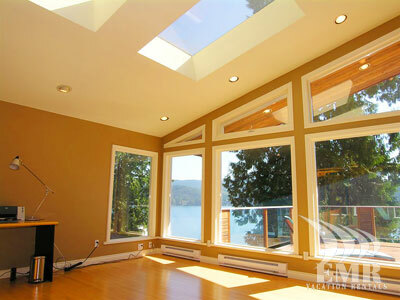 What a beautiful location and a great house. I will be back. We had two families of 6 in the cottage and had lots of space for all of us to eat meals together, and relax on the deck together. 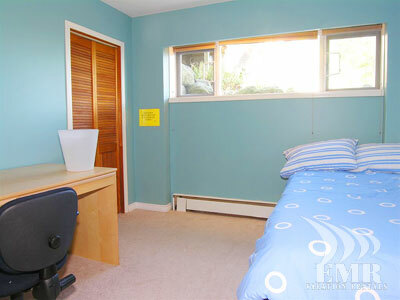 Also the bedrooms are all spacious which allows for spreading out our luggage, as well as lots of closet and dresser space to use. 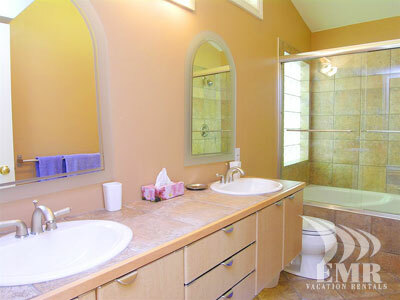 Four washrooms for 12 people was also great. One evening we had additional family over for dinner and could seat everyone between the dining room and deck. 25 people all together. 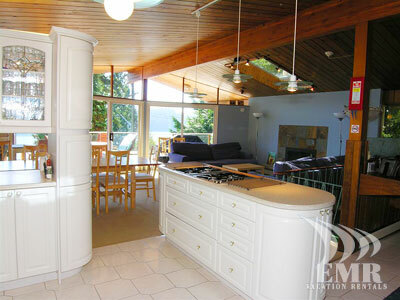 The kitchen is also nicely spacious to allow several of us doing meal prep at once. 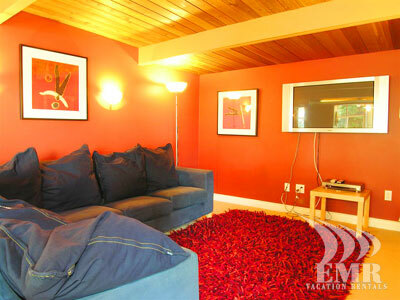 It's a wonderful cottage with an amazing view and lots of space for everyone in it. It would have been nice to have had water access. We generally walked into town and used the beach there which was alright. Deep Cove is a nice little town. Also we found the access to various places to be quite convenient. We had a lovely stay. We had a great family reunion. The location was perfect. I saw a back bear from the kitchen window. The decks were very relaxing with a great view. Wish we had stayed 2 weeks instead of 1. 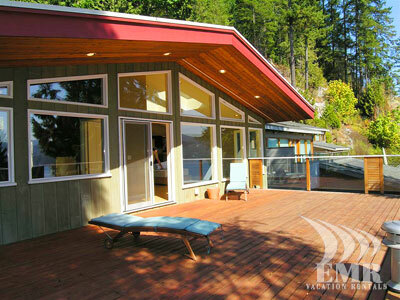 Thank you for helping us find such a beautiful place to stay in lovely Deep Cove. It was close enough to downtown and yet remote and peaceful. Your guidance was appreciated. 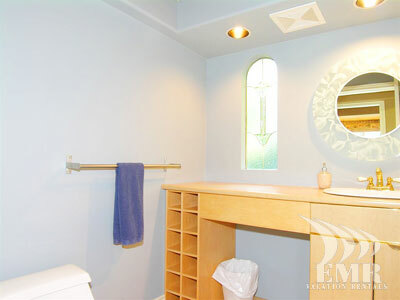 The house was just right unpretentious and with plenty of room. Thank you. 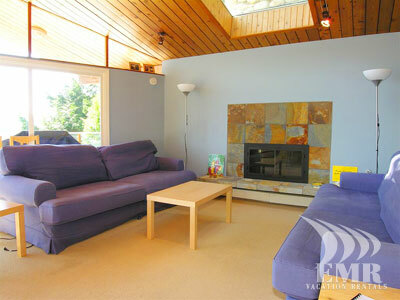 We absolutely loved the home we rented in Deep Cove. 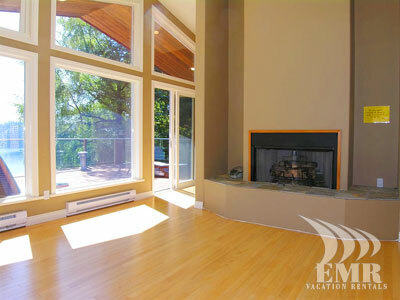 Our agent was a huge help in helping find the location and providing us information regarding the surrounding are. Our greeter provided us with very easy to follow directions and was very accommodating meeting us at the time of our arrival. 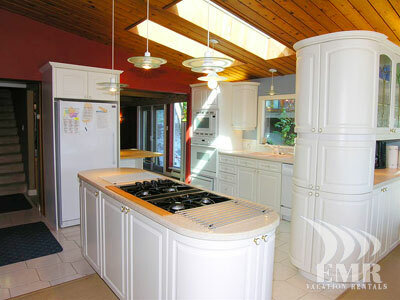 The home was lovely and large enough to accommodate everyone in our family. 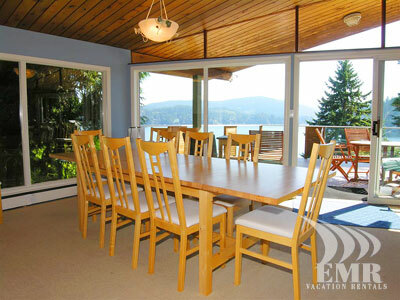 We enjoyed grilling on the deck every evening and enjoying the view across the cove. Deep Cove was a charming town with very pleasant residents. On our final night we received two bonuses, a beautiful rainbow across the cove and a black bear right outside our kitchen window. Apparently he also enjoyed the scent of our grilling. Again thank you to all who assisted in making our Vancouver stay a memorable one. WE WILL BE BACK. We had a very lovely stay at Deep Cove Lookout and it was a unique space for our family reunion. The accommodation was very clean and the views were superb. 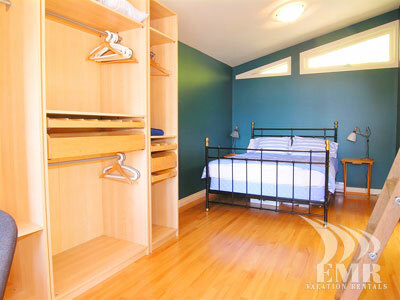 There were 11 of us and the accommodation was perfect from the point of view of being comfortable and roomy. The kitchen worked well for us. We loved the house and the location. My children and I love to hike and we walked to town several times every day. Loved the town of Deep Cove! 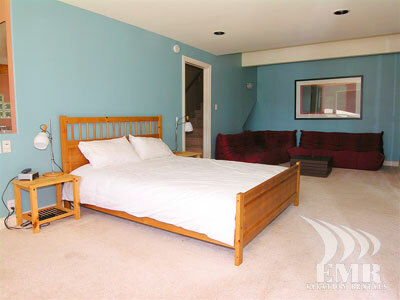 The house was great for we all had a bedroom and the accommodations for my family were great. We loved Canada and the Deep Cove area...and want to come back! 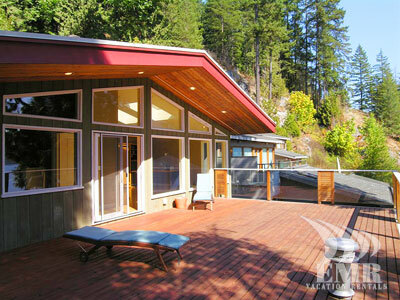 Thank you Lori for all your help in getting this wonderful vacation home. Thanks for the emails Lori. We all enjoyed our stay very much and had a great time. 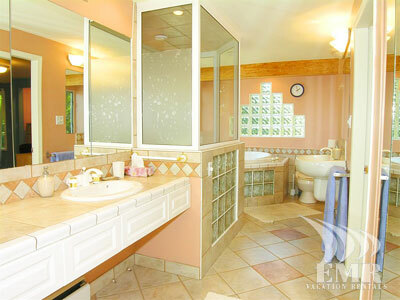 The house and all the facilities were in impeccable condition. We did our best leaving it in that condition as well after our departure. We certainly bookmarked your company for future reference.